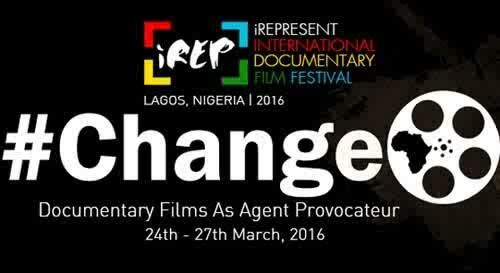 Last month I visited Lagos for the iRep International Documentary Film Festival. The annual festival is held in Freedom Park, a park converted from the site of an old colonial prison and now a popular venue for the fast-growing Lagos cultural scene. Freedom Park is a space that plays host to a wide variety of cultural events, and it’s been a favourite spot of mine in the city since visiting there during it’s development. As my family and I were given a tour around the park I remember thinking how unique it is for the city: a piece of Lagos history, a forum for local musicians and artists to exhibit, and a scenic, green community space; designed for local people of all social classes to gather and enjoy culture. Little did I know then that the park would also become the venue for one of my own personal milestones – my first screening with a Q&A. The film was due to be screened on the last day of the festival (Sunday), and so I took the opportunity to enjoy the festival and see some of the other films being screened. One film in particular that I enjoyed was Faaji Agba, a documentary about the highlife, palm wine and juju musicians who were playing before the beginning of the afrobeat movement in Lagos. The film sees the musicians as they are united for a tour of New York (a lot of fun – most of them have never left Nigeria), and aside from being very nicely shot and edited it’s a great story that makes for a fun – but also heartwarming – ninety minutes. I was more nervous than I thought I’d be leading up to the screening – my father had widely publicised the event, both to friends and family and to filmmakers, and so the screening room was packed. While I really don’t enjoy watching my film (for the 20th time or since it was finised…), it seemed most people in the room did, and the subsequent Q&A lasted for about twice as long as the duration of the film! I was joined on stage by my main contributors and the owners of Drill Ranch, Peter Jenkins and Liza Gadsby, and so the discussion went way past the events on screen. 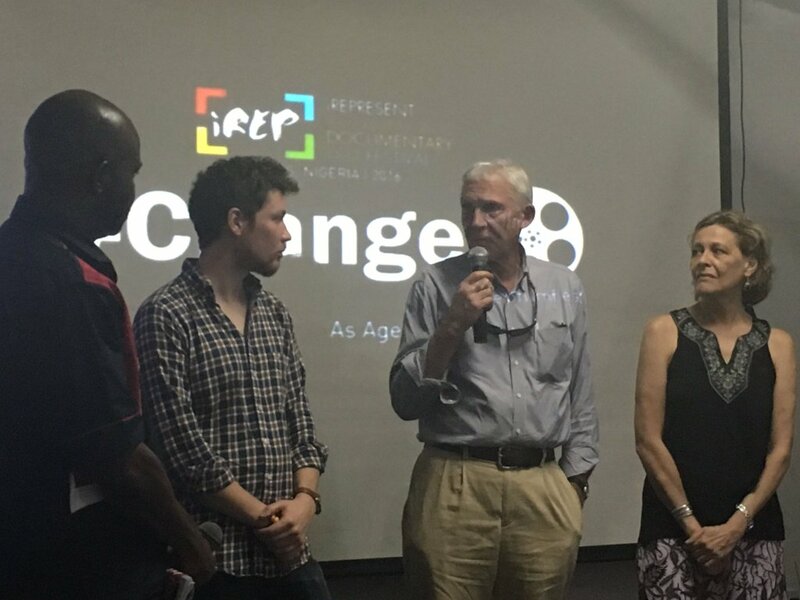 The theme for this years festival was “change: documentary films as agent provocateur”, and so it was appropriate that the Q&A became a forum for discussing the major environmental issue that has arisen in the last year: that of the proposed superhighway through the forest and national park land near to Drill Ranch in Cross River state. I won’t go into too much detail, but to summarise the state governor Ben Ayade has set out plans for a road through the forest and to revoke land rights for 10km either side of the road, amounting to 25% of the area of the whole state. It’s a road that doesn’t make any sense; there is another road with a similar route that serves more people and is in dire need of repair, whereas this road seems to only impact the people who live along the route negatively. The most obvious explanation for the road is for access to the forest for logging companies, and the whole project is suspicious – logging has even begun without the legally necessary Evironmental Impact Assessment. Peter and Liza are part of a group that’s trying to halt the project, but it’s a difficult battle to fight against a state governor in Nigeria (more about the campaign here). While the future for the last of Nigeria’s rainforest looks pretty bleak at the moment, I think it’s important to have hope. A lot of Nigerians I’ve shown the film to say they are surprised that this amazing forest is in their own country, and so hopefully a few more might feel like it’s something work protecting. I also hope that giving Peter and Liza the opportunity to speak to some young Nigerian filmmakers might have had some impact – who knows, maybe we’ll see some more films about conservation and the environment come out of Nigeria soon. And maybe they can create the conversations required to make lasting change. I certainly hope so. This entry was posted in Blog and tagged Ben Ayade, change, Cross River state, Cross River superhighway, documentary, Drill Ranch, Faaji Agba, film festival, Freedom Park, iRep, iRep International Documentary Film Festival, Lagos, Nigeria, The Drills of Afi Mountain.